The first stages of a new set of three pieces. 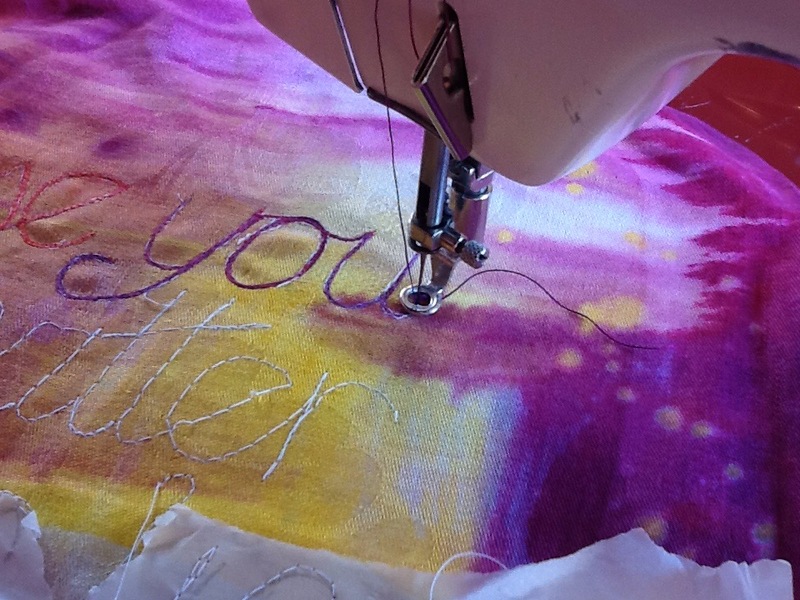 In order to avoid distortion I’ve written the words on tissue paper, tacked that in place and then machine embroidered over the lettering with just one or two lines of stitch. Then I’ve torn away the paper and re stitched with coloured threads. 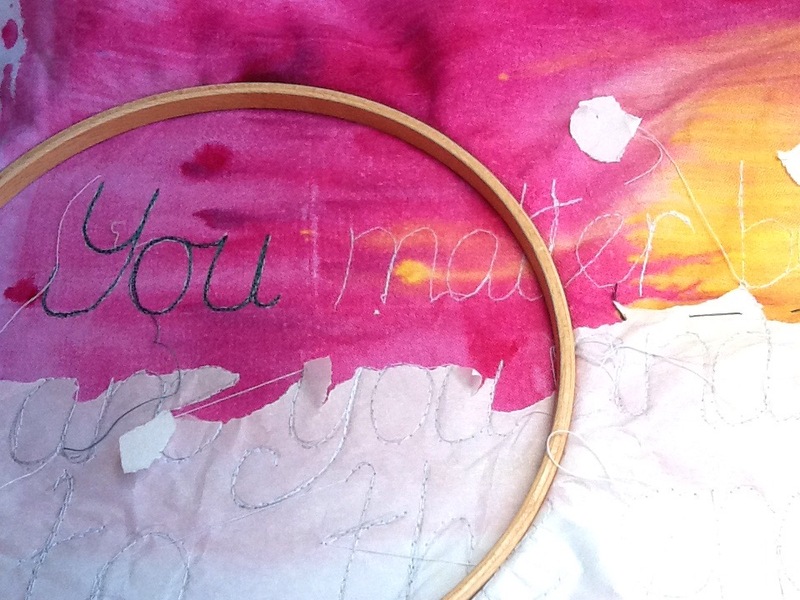 The three pieces will all feature text stitched in different ways, I’ll post more as they develop. The set are a commission for a specific building. 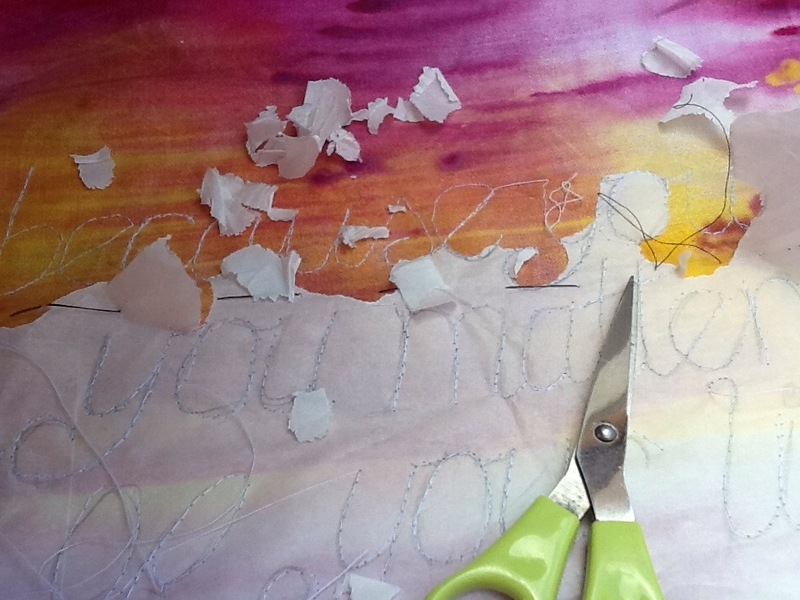 This entry was posted in Uncategorized on September 22, 2015 by donnacheshiretextiles.